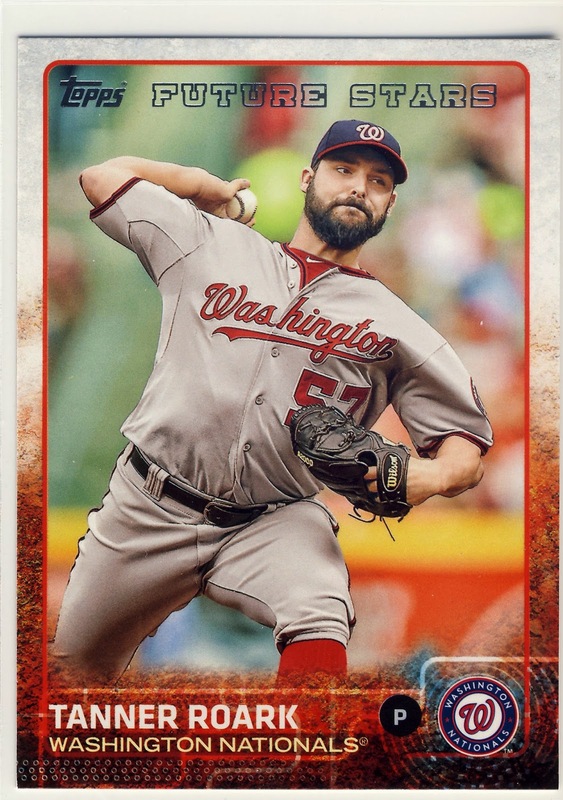 2015 Topps Series 1 have been procured and ripped and here are some of my favorites from that first group of cards. 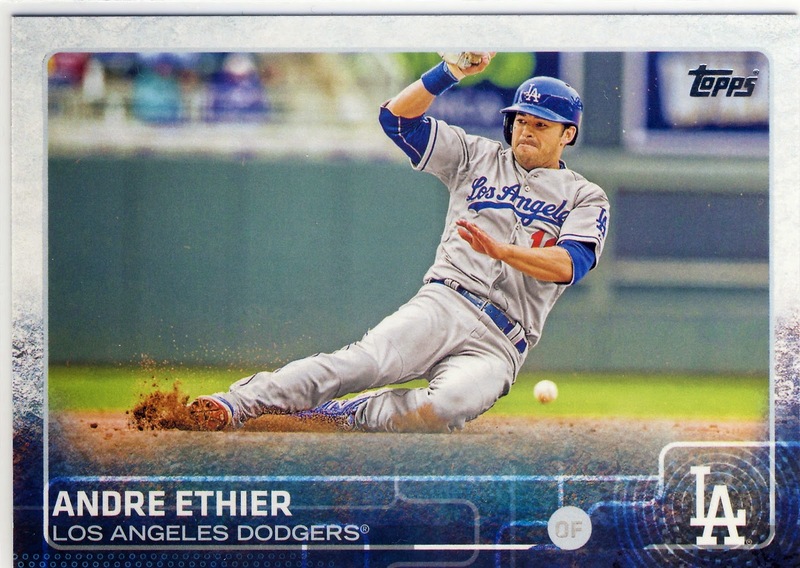 Andre Ethier trying to beat the throw to 2nd base...maybe 3rd. Interestingly all the cards that were horizontal were positioned together in my jumbo pack. 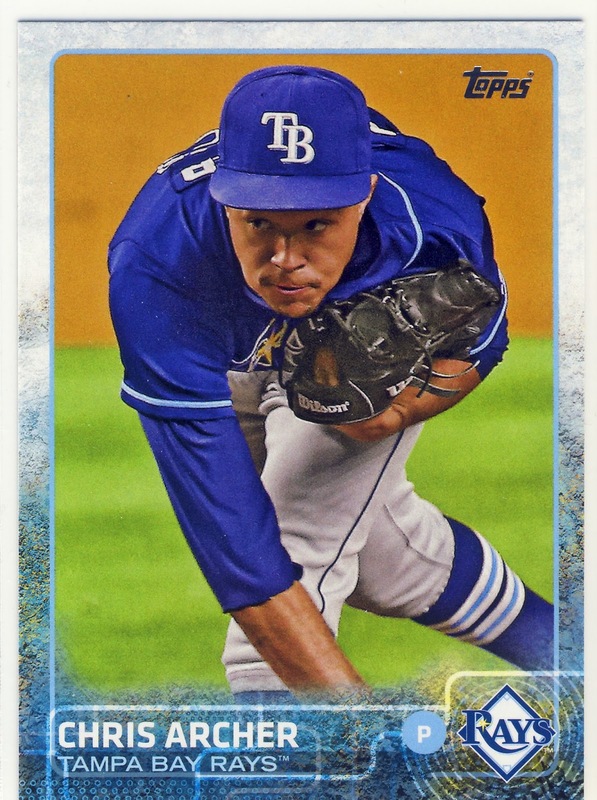 This Chris Archer card reminds me of cards from the 1960s in which the pitcher would pretend to throw a pitch toward the camera during spring training. That was as close as they would get to action shots at the time and it shows how far today's photography has come as it looks like a staged photo yet is clearly not. 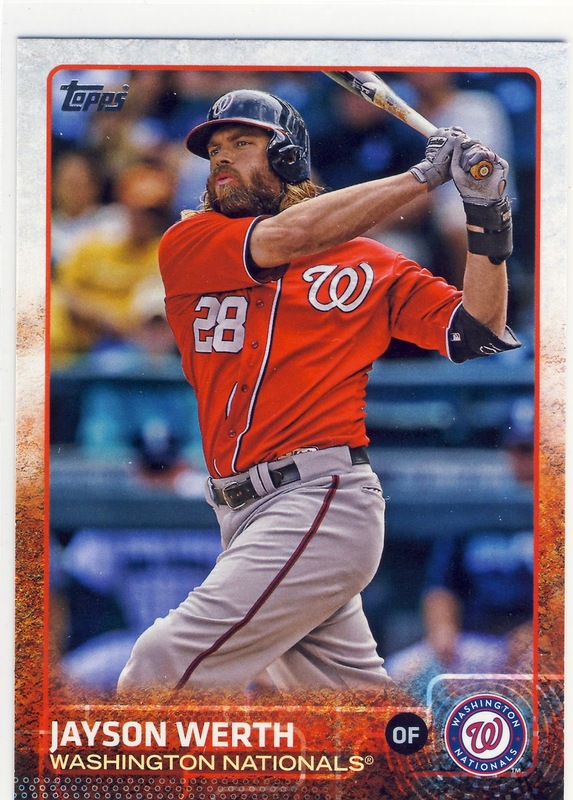 Jayson Werth's sporting facial hair on par with my Wallet Card, Gorman Thomas from 1980 Topps. 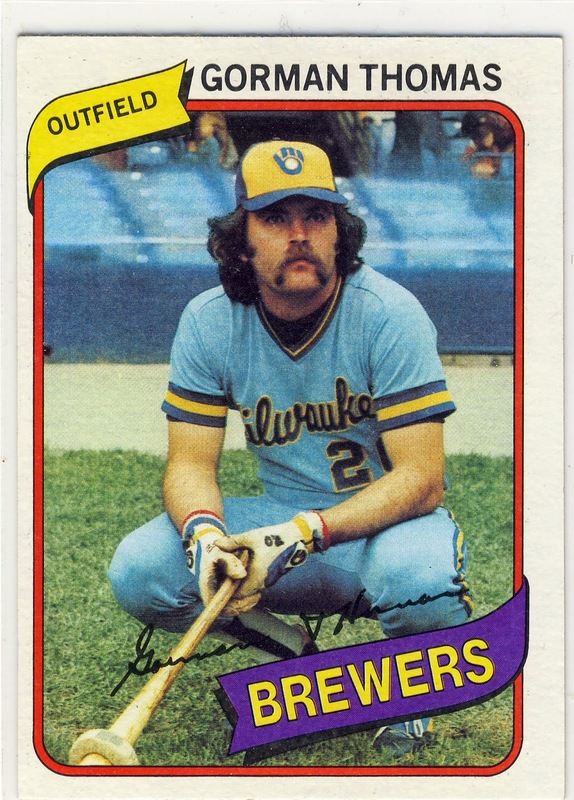 I wish the "Future Stars" was at the bottom of the card and looked more like the 1987 Topps Future Stars logo. 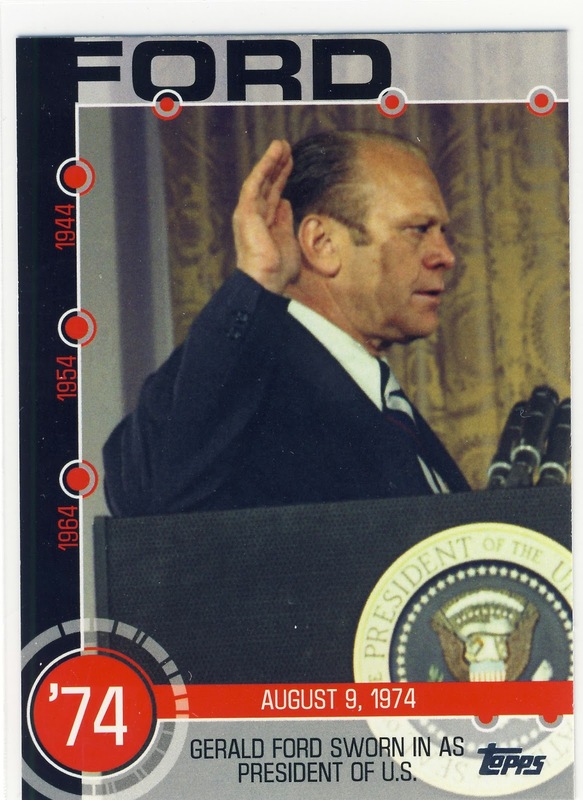 Wow, I never would have suspected that I would pull a Gerald Ford card from my pack. 10 points for a political card! 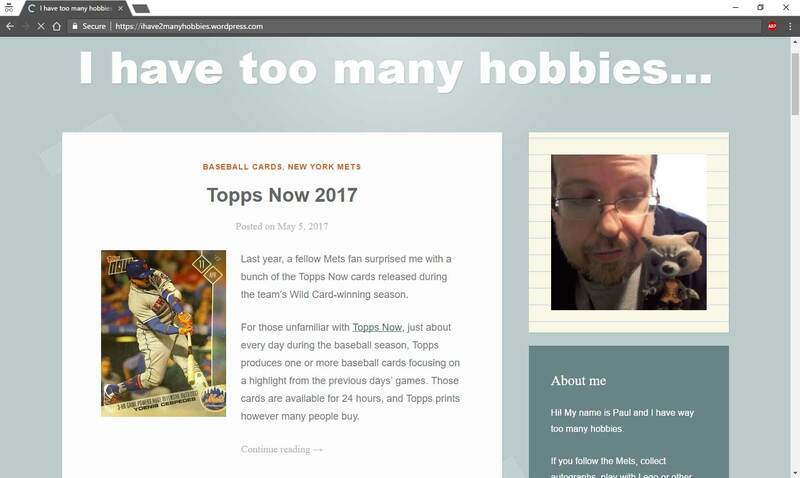 This is an insert from the "Baseball History" set and it will probably be one of the insert sets that I will collect in full this year. 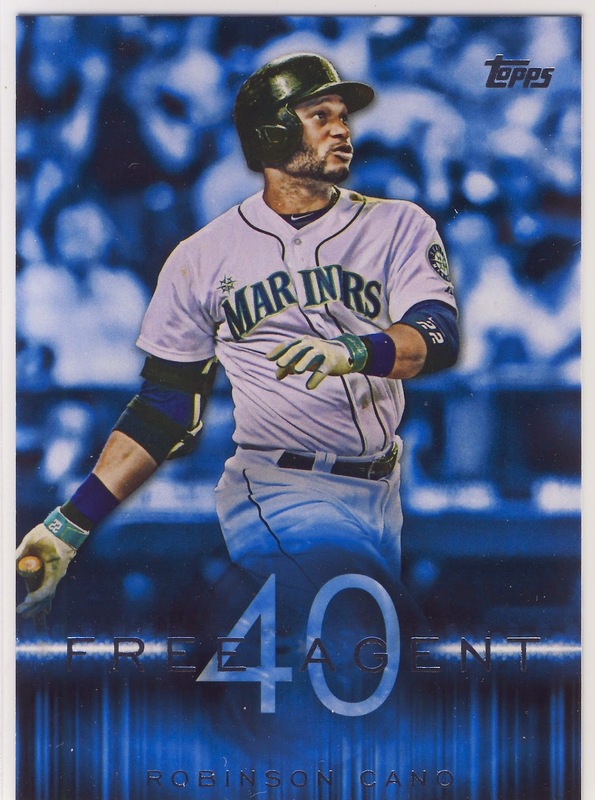 Another insert set that I really like are these Free Agent 40 cards. They are similar to the base cards of some of the upper tier football sets like Topps Valor or Topps Fire. 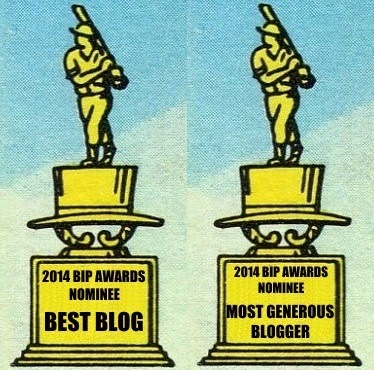 If only they were on thicker card stock. So there you have it. I doubt I will be collecting the set but I enjoy this set much more than the recent Topps flagship sets. 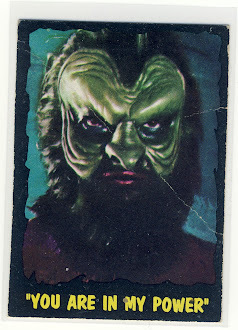 I'll probably collect a few of the insert sets as well as the base cards that really stand out for me.